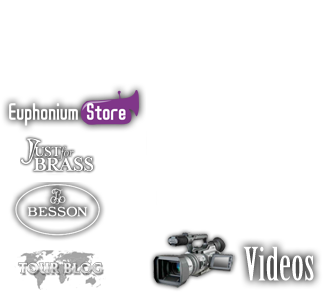 Once again my pianist was the brilliant Japanese pianist Tomoko Sawano, who also played on the World of the Euphonium Vol.5. Without a doubt the music on the CD is the hardest and most challenging I have ever recorded. 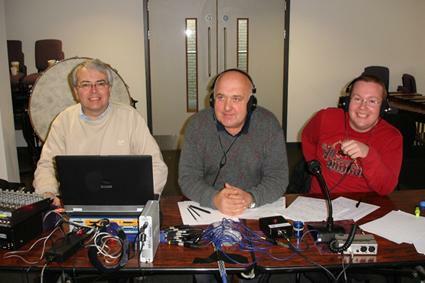 The sessions went very well and big thanks to Richard Scott, Keith Farrington and Mark Bousie who were the technical team in the sessions (photos below). 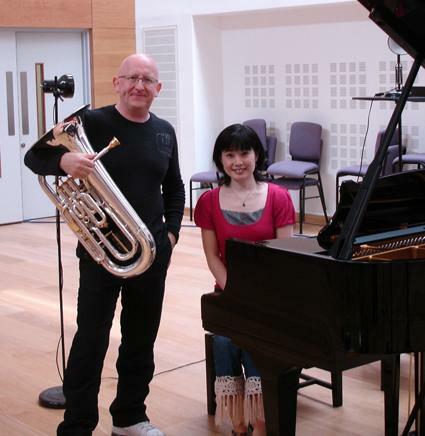 The CD was recorded in the new Studio 6 at the RNCM, Manchester, 18-20 April. 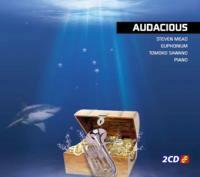 The title of the CD is "Audacious" (Cat. BOCC110)- the meaning of the word is : 'intrepidly daring' and indeed, we were ! !